Todd G. - Mobilization Director Todd & his wife, Angie Greer love it here in Nashville. He also serves on the Board of Directors for the Berean Fellowship as well as the CFO for New Hope International Ministries that has a church, orphanage, school and over 120 church plants in India and South Africa. Additionally, Todd has a vision for launching a ministry to International college students to train them using T4T and Four Fields to equip them while they are in the states, so that when they return to their home countries they can be missionaries to their people: Friends of the Nations. Angie is gifted in working with women through Bible studies, prayer and love. Todd and Angie have 2 children they are raising. They are excited to see how God can use them further in their journey. 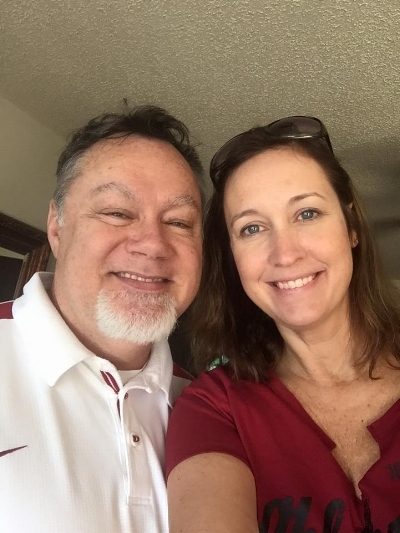 David and Rebekah K. - Executive Director - He is married to Rebekah, his high-school sweetheart, and has 4 amazing and wonderful children (William, Gracie, Belle, and Noah). His heart for church planting comes from over 10 years of prayer, experience, and study in the ministry. He first began as youth pastor in Huntsville, AL and then moved on to e3 Partners to become the International Director for Students. After traveling to 15 different countries spanning four years and training international leaders, David received a call to serve as a pastor with Lighthouse Christian Fellowship in Antioch, TN. City Church of Woodbine began in 2011 with a vision to birth a church planting movement in Nashville, TN that would successfully spread the gospel among all refugee and immigrant communities in the city. David’s hope is that someday Nashville will be known as a light unto the nations (Isaiah 49:6). Lisa R. - Area Leader (Clarksville, TN) - Lisa was born in Nebraska but grew up mostly in Iowa. She’s from a large family of two brothers and five sisters. She has a Computer Science degree and worked in the computer field for many years before going to the mission field. Lisa has served overseas in the countries of Afghanistan and India. Currently, she is serving the Lord by working to make disciples in the US in the Nashville, TN area. Casey G. - Director of Training (Nashville, TN) - Originally from Memphis, Tennessee, Casey and Heather recently relocated to the Nashville area after serving as long-term missionaries in Central Europe. Over the last fifteen years, the Goffs have worked on short and long-term projects in over forty nations. Casey and Heather work with the City Church Network to equip and train church planters in Middle Tennessee, and they continue to work alongside their partners in Europe. Mike and Kristen K. - Arabic Ministry Practitioners (Nashville, TN) - Mike and Kristen grew up and were married in Cleveland, Ohio before moving south. Prior to moving to Nashville in 2018 to work bi-vocationally with City Church Network, they lived and served in the Atlanta area. Their heart is to see the knowledge of the glory of the Lord cover the earth as the waters cover the sea (Hab 2:14). They believe God is at work bringing unreached people groups to the USA to complete that purpose. They have a special focus to befriend Arabic speaking Muslims, but also regularly work alongside refugees, asylum seekers, and other immigrants. Wim C. - Director of Administration and Shepherding - Wim Codington is passionate about serving those in Christian ministry by doing everything possible to help them be glad in God. Wim is also eager to promote helpful administrative practices for Christian organizations and churches. In his shepherding role, Wim (together with his wife Libby) seeks to pinpoint and eliminate areas in the lives of CCN staff that threaten to steal away the fullness of their joy through effective use of the Bible, prayer, and counseling. In his administrative role, Wim desires to create and sustain the financial, legal, website, and communication tools of CCN for the purpose of maximizing clarity, transparency, stewardship, and unity in the body of Christ. In both of these areas, Wim aims to assist the body of Christ to be effectively mobilized and strengthened for the supremely valuable work of proclaiming the good news of salvation by faith in Jesus Christ to those people who have not yet heard. Preston and Hali L. - Area Leader (Auburn, AL) - Hali & Preston believe it is our Father’s Heart to see Revelation 7:9-10 accomplished; to see all nations, tribes, people, and languages worshipping the Lamb of God that sits on the Throne. He desires to use the Church to spread the Gospel to all people around the World. We plan to work with all the Lord’s energy He provides seeking to find people far from God, sharing the Gospel, discipling new/pre-existing believers, forming churches, and developing leaders until there’s No Place Left in Auburn, Opelika, and Montgomery. Thank you so much for partnering together with us. It is truly an honor and a privilege to serve Our God together. “And this gospel of the kingdom will be preached in the whole world as a testimony to all nations, and then the end will come” – Matthew 24:14.